Professional harpist Molly Madden is an active performer and dedicated music educator. In addition to teaching a private harp studio, Molly serves as principal harpist for the Champaign-Urbana Symphony and Heartland Festival Orchestra, and she frequently performs with the Illinois Symphony Orchestra, The Chorale (Champaign-Urbana), Illinois State University Wind Symphony, and chamber ensembles in Central Illinois. Raised in a musical home, Molly fell in love with the harp when she was just two years old. After receiving her first harp at the age of seven she began taking harp lessons, studying with Lynne Kirkwood and Joy Yu Hoffman, and continued her music education in college at the University of Illinois School of Music. There Molly received awards and scholarships and earned Bachelor’s degrees in Harp Performance and Music Education and a Master’s degree in Harp Performance. Under the instruction of Dr. Ann Yeung, she received extensive training in solo harp performance, ensemble playing, and harp pedagogy. Molly completed her student teaching in Champaign-Urbana for grades K-8, teaching band, music technology, and general music. Molly offers private harp lessons in the Champaign-Urbana and Bloomington areas and harp music for weddings and events throughout Central Illinois. The harp is a perfect way to enhance the beauty and elegance of any event. Whether it is the lilting presence in the background of your reception or the sweeping melody that heralds the bride's entrance at your wedding, the harp is sure to provide just the right touch that you and your guests will always remember. 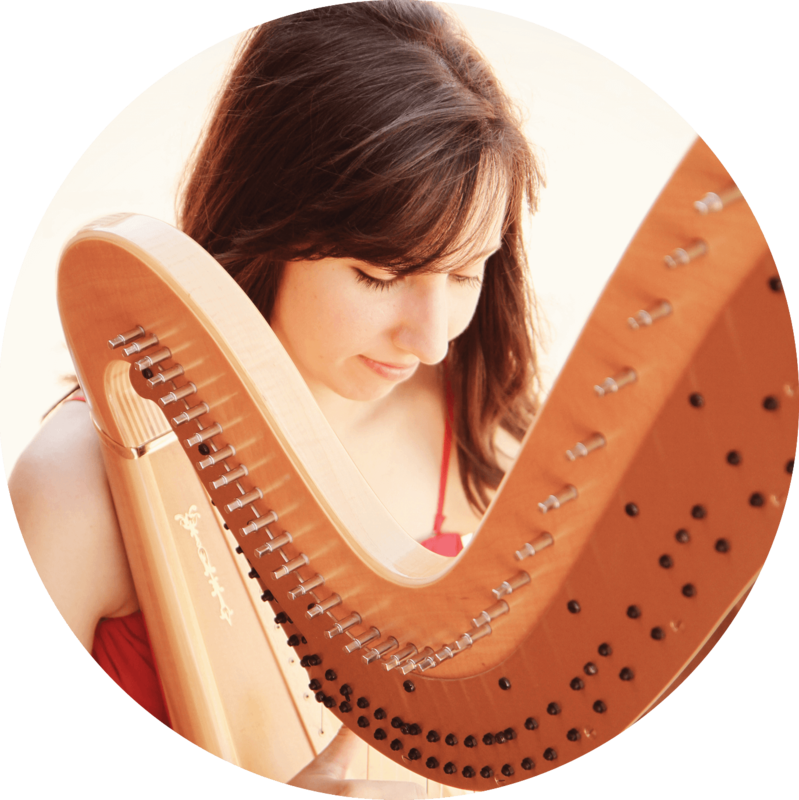 Molly offers harp music for weddings, receptions, parties, and any other indoor or outdoor events in the Champaign, McLean, or McHenry County areas. Additional ensembles available include harp and violin, harp and flute, or harp and guitar. Please feel free to contact her with your questions or to check her availability for your event. Molly Madden received her Bachelor's degree in Music Education from the University of Illinois at Urbana-Champaign. She completed her student teaching at Urbana Middle School, where she taught band and music technology, and Dr. Howard Elementary School in Champaign, where she taught general music. During this time she also gave numerous presentations about the harp and served as assistant director in the Broadway on Vine production of The Music Man, Jr. Molly has completed training for certification by the state of Illinois to teach grades K-12. Under the instruction of Dr. Ann Yeung, professor of harp at the University of Illinois, Molly also earned Bachelor's and Master's degrees in Harp Performance. 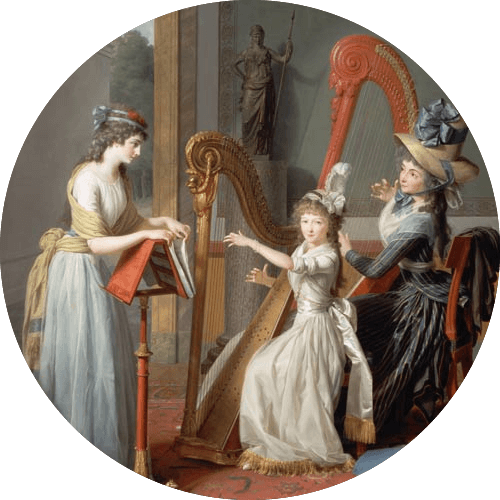 While there, Molly received training and practice in harp pedagogy, and now offers private lessons to students of all ages and abilities. Lessons are offered in Champaign-Urbana or Bloomington-Normal. Molly is currently accepting new students. Please contact her for details. Solo and ensemble recordings of Molly Madden. If you are having trouble with playback, click to use your browser's default player. 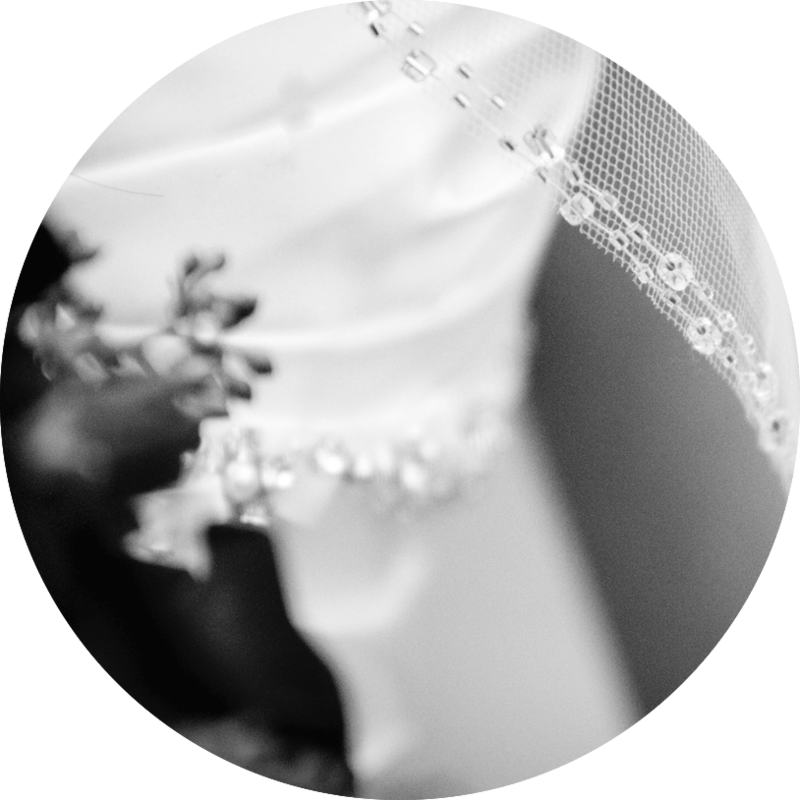 Use the form below to contact Molly for information about lessons, services, booking, pricing, or site feedback. Fields with a (*) are required. Background photo by Shannon Leigh Anderson Design Studios.